This is where things get complicated, because 4K is technically just the resolution something is played back at, but the term is used interchangeably with UHD, or Ultra High Definition, which is made up of that 4K resolution, plus High Dynamic Range (HDR), which provides better contrast to pick out more detail in an image, and a wider color gamut, which provides a greater range of color on screen (your TV displays just a fraction of the colors you see in real life). When a new console or TV claims it supports 4K playback you have to double and triple check to see if it means 4K or UHD or something in between, usually 4K and HDR, with none of the expanded color gamut. If it just supports the higher resolution you’re not going to be getting the incredible gaming experience promised. Besides all that confusion (which we hope to resolve below) you’ve also got refresh rates: 4K at 30fps is not the same as 4K at 60fps, though both can claim to be “4K” in whatever promotional material you happen to be reading. 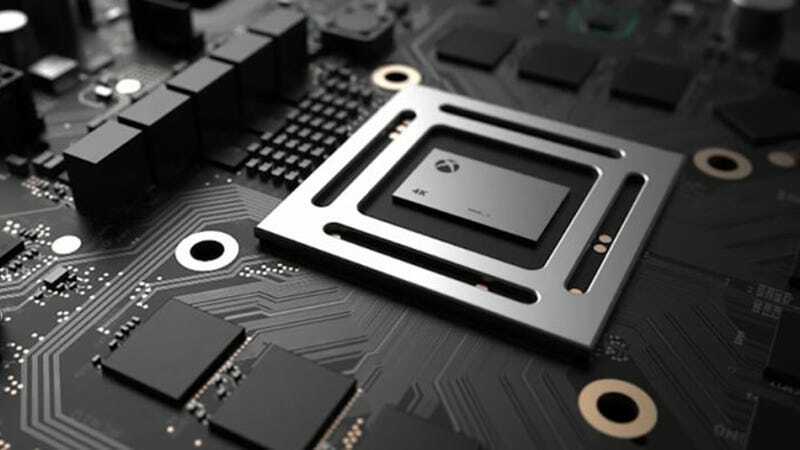 Whether you’re buying a console or a TV, you need to read through the small print for as many of these specifications as you can find: resolution, HDR, color gamut, and frame rate. Speaking of HDR—as we’ve mentioned, consoles from both Sony and Microsoft opt for the HDR10 technology, so your display needs to have this feature rather (or as well as) any alternatives such as Dolby Vision. If you don’t have it, you’ll still get the 4K resolution, but some of the color range and subtlety is going to be lost along the way. It’s still early days for HDR on monitors, with the first few options only just now appearing, but if you are taking the PC gaming or Xbox One X route you can look out for extra features like G-Sync and and FreeSync to improve the smoothness of your graphics. That $100 premium you’re going to pay for Microsoft’s box versus Sony’s latest console is tough to swallow—but given enough time and developer support, it might eventually end up being worth it. Right now it’s tricky to say, and the debate is likely to run and run between now and November. Compared with 4K gaming on PC, the Xbox One X is a less powerful but cheaper and more convenient option. Again though, there’s the games issue: You’re going to find a better choice of titles with better optimizations for higher resolutions and frame rates if you take the Windows and Steam approach.